A general dentist (GP) is a dentist who has not received additional training. A general dentist is licensed to practice all areas of dentistry, providing the highest level of oral health care possible and maintaining the highest level of care for each patient. General dental care is focused on helping patients of all ages achieve and maintain good oral health. It can include everything from simply dental checkups to more complex restorative procedures such as root canals. We recommend that you visit your general dentist at least once every six months for a routine dental cleaning and exam. This will allow your dentist to monitor your oral health and quickly provide any treatments which you may need. 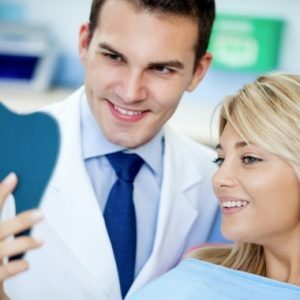 Depending on your individual needs, your dentist may recommend that you visit more often. You should also contact your dentist if you experience a dental emergency, so that you can begin restoring the health, appearance, and function of your smile as quickly as possible. General dentists provide care for a wide spectrum of dental services, however, they will refer patients to a dental specialist of they do not feel qualified to perform a specific procedure, or if the patient in question needs more focused care than what the general dentist can provide.